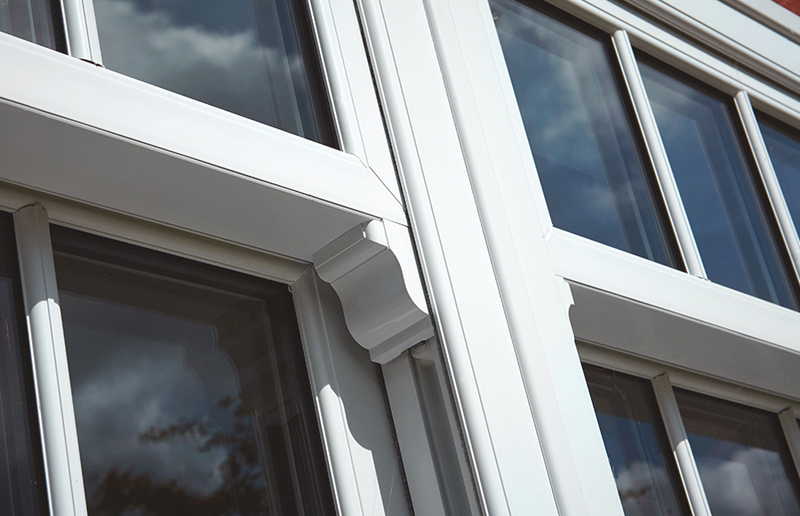 Our weather resistant uPVC sliding sash windows help to give your home an architectural flare. Enriching your home with market-leading uPVC sliding sash windows. Our uPVC sliding sash windows will bring a unique design flare to any home in Brighton, East Sussex or the surrounding areas. The design possibilities are vast for our uPVC sliding sash windows so you can choose an option that best fits you and the architectural design of your Brighton home. 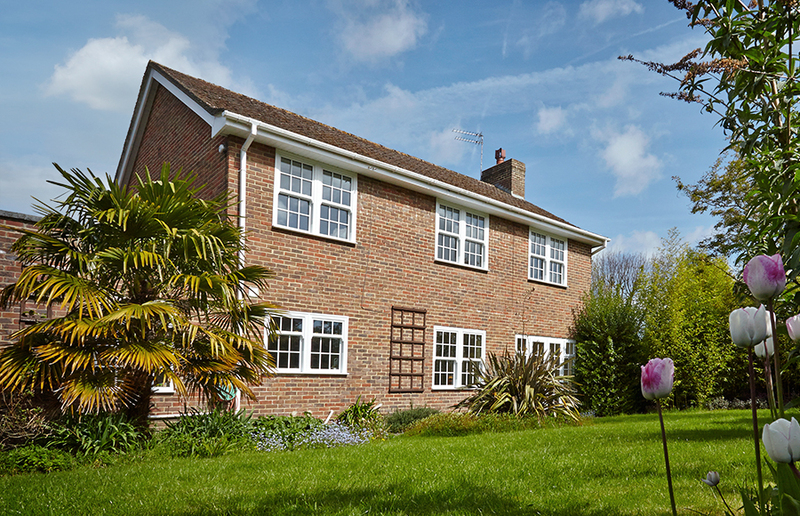 These windows are durable and resilient in the British weather and a perfect addition to any home. You can expect excellent sightlines from your uPVC sliding sash windows to open up your home to the outside world. Please contact us for any information about our uPVC sliding sash windows and your colour options. We pay close attention to the quality of our products to provide our customers with only the best. This is why we have chosen Deceuninck as our manufacturer for our uPVC sliding sash windows. Deceuninck design their products to ensure that they are versatile and flexible for installation in all homes. Their worldwide success highlights the innovative design of their products. They currently have 10 production sites worldwide, meaning that there is no shortage of windows for your East Sussex home. Deceuninck have been operating for over 80 years and have a vast amount of experience uPVC sliding sash windows. Their design ensures no leaks or draughts in your home with built-in weather seals. The wide range of colours that Deceuninck offers compliment the functionality of the uPVC sliding sash windows. With these products, you are not limited to designs that do not suit you or your home. Please feel free to contact us for more information regarding the design of our uPVC sliding sash windows. The triple glazing design of our uPVC sliding sash windows concentrates on insulating your Brighton home to the highest standard. These windows contribute to reducing your energy bills due to their unique design and industry standard specification. Here at A1 Glass and Glazing, we know that homeowners in Britain are constantly cranking up their thermostats to feel the slightest bit warm in their own homes. This is why we install uPVC sliding sash windows that keep the draughts and the cold air out so that your family can stay in without having to worry about those continuously increasing energy prices. The BFRC, the industry overseer, have given our products and A+ rating. This rating highlights the ability of our products to reduce your energy bills to keep you smiling through the winter months. 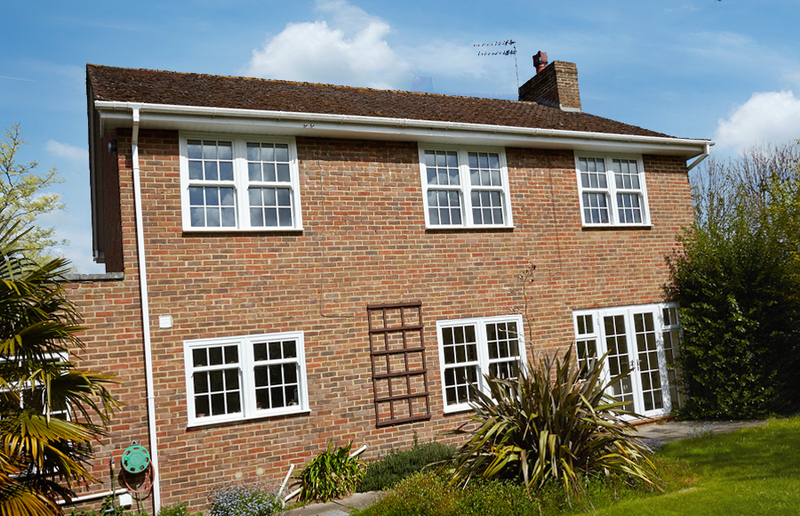 Our uPVC sliding sash windows will help to reduce your carbon footprint and improve the ability of your East Sussex home to retain heat. We aim for our products to meet your needs if not exceed them and believe that our uPVC sliding sash windows would be the perfect feature for your home. The security of our uPVC sliding sash windows is demonstrated by the number of built-in safety features that these windows have. They are designed with a combination of internal glazing, locking systems, hinge protectors for protection against intruders and a variety of glass and hardware options for increased safety. Secured by Design sets the industry standards for windows and doors. Secured by Design is managed by the UK police to protect the safety of homeowners in the UK. Our uPVC sliding sash windows comply with these standards to deter thieves and burglars and make your Brighton home as safe as possible. If you would like to know more about our uPVC sliding sash windows, please call us on 01273 676750 to speak to an expert member of our team. We will provide you with all of your options as well as guide you through the installation process that will take place when installing your brand-new uPVC sliding sash windows. To get a free quote for your uPVC sliding sash windows, please use our free online design tool. Additionally, you can fill in our contact form to request a call back. A member of our team will get back to you as soon as possible to provide you with as much information as you need on our uPVC sliding sash windows. We also offer an exciting range of other double glazed products too. These would be the perfect addition to your East Sussex home. Please feel free to contact us for any information on any of our other products or sliding sash windows. We would love to help make your property into the home that you deserve.